It's been a long time since I posted here last! The impetus was missing somehow! After a gap of 3 broadcast seasons, I am looking forward to ending A18 on a warm note and feeling hopeful of rekindling my DX blogging in B18. 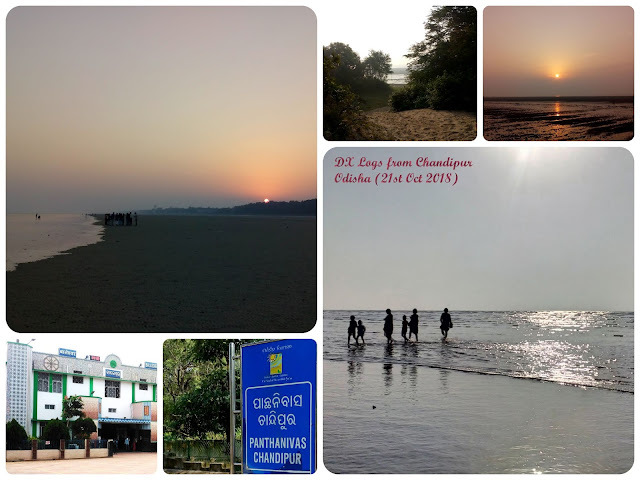 Now without further ado, allow me to present before you my recent DX Logs from a visit to the coastal town of Chandipur in the state of Odisha. 15600 KHz 0019 UTC - CHINA RADIO INT. (CHINA) in PORTUGUESE from BEIJING-MATOUCUN (CRI/CNR). SINPO = 34333. Song by YL band retro number. OM & YL talk. song followed. 15320 KHz 0012 UTC- VOICE OF AMERICA (UNITED STATES OF AMERICA) in MANDARIN from TINANG (VOA). SINPO = 32322. YL & OM in talks (firedrake in the background). 11790 KHz 0007 UTC- CHINA RADIO INT. (CHINA) in ENGLISH from XIAN-XIANYANG (SHAANXI). SINPO = 55555. OM & YL in talks "trends in public dancing in the social life of China" (lifestyle mag prog). 11780 KHz 0006 UTC- CHINA RADIO INT. (CHINA) in MANDARIN from JINHUA. SINPO = 54344. ID followed by prog highlights by OM. FM stations from Kolkata - Aamar FM, BIG FM, Fever 104 FM, Radio Mirchi & Vivid Bharti 101.8 MHz were all audible from the DX location. Distance between Kolkata and Chandipur Odisha is 256.6 km. One of my new-found DX addiction is listening to radio broadcasts via web based Software Defined Radios (WebSDRs). For those of us who entered this magical world of DXing by manually turning the knobs of analog radios, SDRs are nothing short of Aladdin's Magic Lamp! I remember the first time when I actually operated an SDR during ADXL DXpedition 2014, I was simply awestruck! The ease of tuning along with the real-time feed of the station signals appearing in waterfall view on the SDR user interface screen mesmerized my senses! Online (Web-based) SDRs are even more thrilling! The sheer excitement of operating a WebSDR located thousands of kilometers away, right from the comfort of my home and listening to low powered radio stations that are practically impossible to hear from my QTH was something unimaginable even a few years back. Now SDRs are just a click away! Hence, once I started tuning SDRs I never got tired, and the thrill continues. 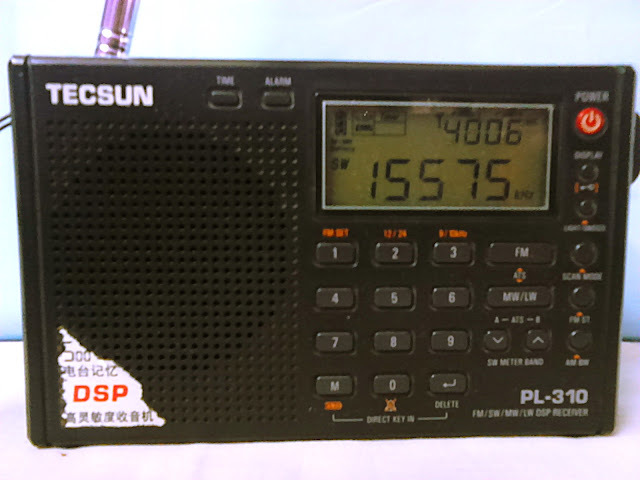 Nowadays, (almost every other day) I tune into pirate radio and free radio stations operating with very low power in Europe via WebSDRs located in different countries of Europe. I love the variety of programming, the music, the 'accented' presentation, the local commercials and the colorful QSLs/ eQSLs of these free radio stations. Puritans might say that QSLing a radio station using WebSDR isn't fit to be counted among laurels. I agree, but then WebSDRs provide refreshment to my ever-hungry DX soul, enabling me to relish slices of exotic entertainment, in our present era of dwindling 'powerhouse' broadcasters. With the onset of A16 broadcast season a plethora of (low powered) pirates/ free radio stations seemed to have emerged in Europe and I have been listening to a lot of these stations every weekend. My recent log of Radio Orion 2000 was quite by chance! I followed up the live blog of a fellow radio aficionado and tuned in to Radio Orion 2000's broadcast on 6940 KHz between 1720-1735 UTC ON April 29, 2016 via Twente WebSDR. A musical program was heard with both German and English songs being played. Prominent IDs in German “Radyo Orion Zweitausend” and in English was heard. Reception quality was overall Average to Fair. Reception suffered from noise (probably QRM from electrical gadget / power source at remote receiver QTH) vicinity. Except this QRM audio stream was flawless with NO breakups in audio feed. A reception report was mailed on May 2nd and eQSL verification was received on May 3rd from Commander Cliff Allister McLane of Radio Orion 2000. Their contact email id is <radioorion2000@gmail.com> . HCJB Deutschland in Weenermoor Germany Verified! In early March, I have received a package from HCJB Deutsch – Neuesleben (New Life) in Germany. 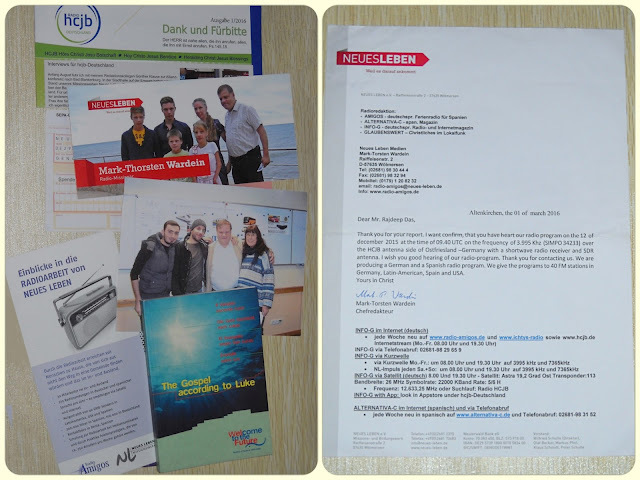 Inside was a view card, station material (promotional), ‘donate us’ form, the gospel of Luke, HCJB newsletter for January 2016 and most importantly a QSL Verification Letter addressed to me and signed by Mark-Thorsten Wardein (Editor in Chief) of HCJB Deutsch – Neuesleben. The QSL verified my reception report of their broadcast dated 12 Dec 2015 on 3995 KHz from Weenermoor heard via Twente SDR. HCJB Deutschland transmission from Weenermoor started from June 2012 and this was the first occasion that I happened to QSL this station. Besides producing a German (Neuesleben) and Spanish radio program (Radio Amigos), they give their programs to 40 FM stations in Germany, Latin-America, Spain and USA. Reach Beyond Australia is a prompt verifier of reception reports. Thanks to the untiring efforts of Shelley Martin, Listener Correspondent for Reach Beyond Australia, listeners across the globe can get access to updated broadcast schedule of Reach Beyond at the onset of every broadcasting season, and she also responds ‘real fast’ be it on Facebook or via emails. At the onset of A16 broadcast season I was monitoring Reach Beyond’s frequencies (as I often do twice every year after seasonal frequency changes in March and October), only this time I happen to note that I haven’t heard their Rawang broadcast anytime before, although it’s been around for quite a few years now. Rawang (as per Wikipedia entry) is a Sino-Tibetan language of India and Burma with over 63,000 native speakers. On 14th April (which happened to be Bengal New Years day and hence a state holiday) I made fruitful use of my leisure and tuned in to Reach Beyond Australia’s Rawang broadcast on 15575 KHz between 1145-1200 UTC. Programming consisted of gospel talk and religious hymns and music. Reception at my QTH in Kolkata on my portable Tecsun PL310 was SIO 454. Nowadays with the availability of web SDRs (Software Defined Radio) it has become easier for DXers to monitor local/global listening conditions, signals strength, propagation of broadcasts from around the world. I tuned in to WebSDR at Twente, Nederlands to compare listening conditions of Reach Beyond’s Rawang broadcast in Europe with that audible over my Tecsun radio at my QTH. Promisingly, the signal from Kununurra was moderate to fair in the Nederlands. A detailed reception report was mailed to Shelley Martin with a video file of the broadcast and screenshots of web SDR. In just over 3 days I received a nice acknowledgement with E-QSL verifying my report. Indigenous (Aboriginal)Australian Art is featured on the full data verification e-card. 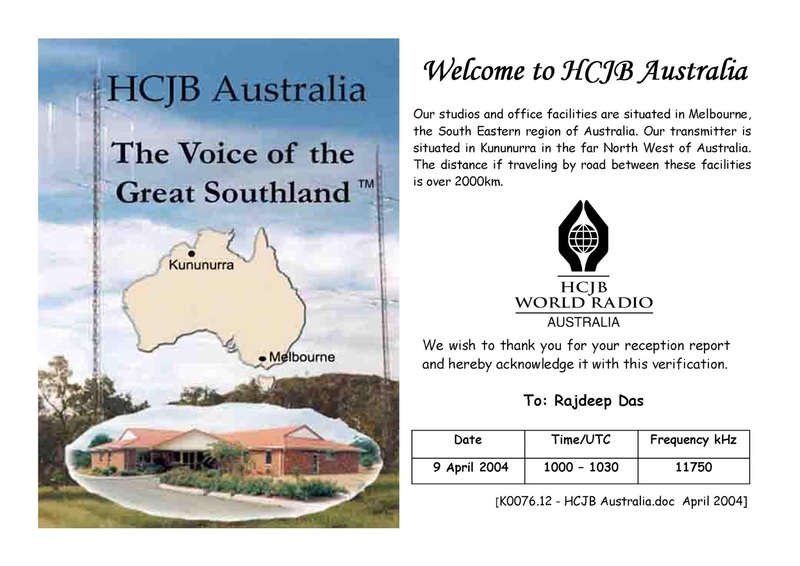 I have been listening to Reach Beyond from the days when the station started broadcasting to Asia-Pacific region as HCJB Australia which was later changed to HCJB Global Voice. It’s been a long journey of over 12 years! I feel happy to see that in spite of changes in the policy of the parent organization they have stuck to shortwave and still going strong! May the Lord bless them infinitely to carry on their humanitarian mission in the decades to come and may we (the radio lovers) remain ever happy listening to Reach Beyond Australia on shortwave transmitting across the ether from the Great Southland! 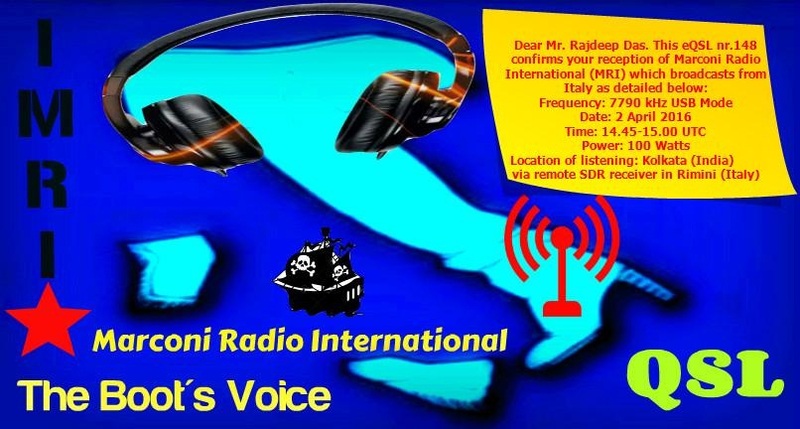 Marconi Radio International (MRI) broadcasting from Italy was heard broadcasting on 7790 KHz in USB mode with just 100 watts power on 2nd April, 2016, between 1445 -1500 UTC via remote SDR in Rimini, Italy. Location of listening was my QTH Kolkata, India. The Program Host was heard talking in Italian on various topics. DX related information was shared with listeners. MX (music) was heard in the background. A listener based in Potomac in Maryland, USA was mentioned in the show. A DX reception report was read out with “SINPO uno quarto tre quarto uno” or SINPO 14341. At 1458 UTC Station ID in Italian followed by Station announcement in English “This is Marconi Radio International…” by Male (OM) announcer. A reception report was mailed to marconiradiointernational@gmail.com on the next day. A full data Electronic QSL Verification from Marconi Radio International (MRI) was received on April 25, 2016 along with ‘History of MRI’ & ‘MRI Newsletter’ PDFs. “Thank you for your reception report about one of the first transmissions of Marconi Radio International on 7 MHz carried over a new transmitter capable of tuning between 3 and 30 MHz Our full data electronic QSL verification is enclosed. We are a small free radio station broadcasting from the Italy which, after 15 years of dormancy, returned back to the airwaves on 15 August 2015. MRI began its short wave transmissions on 4 January 1986 and this year celebrated its 30th anniversary. Until a few weeks ago our test broadcasts were aired on our historic frequency of 11390 kHz with a power in the region of 30 watts. On 21 March 2016 a new transmitter was added and, for the first time in our history, a test was made outside the 11 MHz band. We used the frequency of 7700 kHz (USB mode) which gave good reception in Europe. The station was also heard in Newfoundland (Canada). As from 3 May 2016 MRI will start a regular service on Wednesdays, from 18 hrs to 19 hrs UTC, 20 hrs to 21 hrs UTC, and 22 hrs to 23 hrs UTC on 7690 kHz USB mode (alternative frequencies: 7700 and 7790 kHz) with a power of 100 watts. Additional broadcasts may also be aired during week-end. When this occurs a circular message with details about days, times and frequencies of these transmissions will be sent in advance to short-wave community and listeners in our mailing list…We hope to extend the duration of our broadcasts in the near future and also to increase power. We also plan to send in printed QSL cards by snail-mail but only to some lucky listeners. That’s why it’s vital to let us have your postal (street or P.O. box) address. Unlike a number of free radios from Northern of Europe we know what a QSL is and our verifications will always come with all details about reception of MRI. "The Mighty KBC is a European shortwave station that blasts out rock n’ roll oldies and classic rock to truckers across the continent." On June 28, 2015 at 00:15 Hrs UTC I logged The Mighty KBC on 9925 kHz (SIO 232) with station id in English “we're The Mighty KBC” by male (OM) announcer from my QTH in Kolkata, India using Tecsun PL 310 receiver and the standard telescopic rod antenna attached with the RX. English pop and rock ’n’ roll oldies from 50’s-60’s era were played in the musical program with multiple station IDs, RJ mentions & commercials and jingles in between. I was lucky enough to know about the date and time of the SW transmission from their Facebook wall post, the day before. I tried my luck and guess what I heard them for the very first time! It was raining since early morning. I was apprehensive yet as it turned out The Mighty KBC signal from Nauen was audible at my QTH. The transmission was heard till 00.36 Hrs UTC. 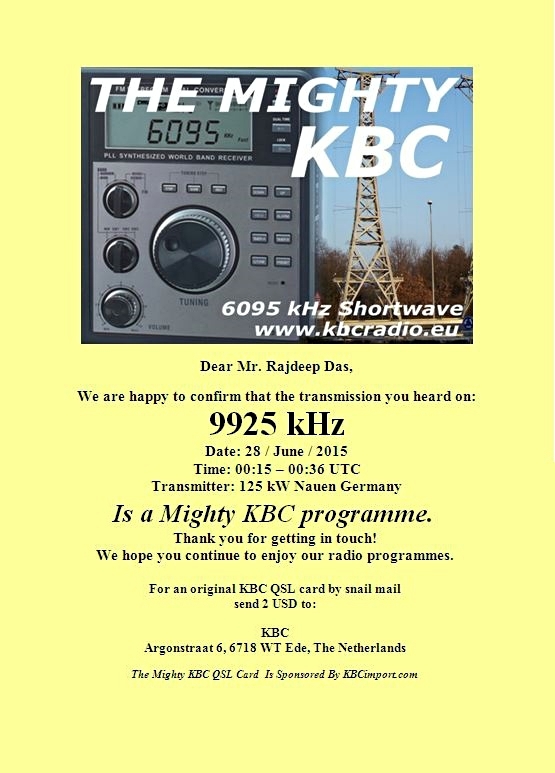 Reception report was emailed on the same day to > themightykbc@gmail.com Within an hour of emailing the report, I received an eQSL reply (electronic verification) from Eric van Willegen. I logged Hobart Radio International for the first time on 25.07.2015 (July 25, 2015) on 6070 kHz (via Channel 292) at 16:00 UTC - 16:30 UTC from my home in Kolkata, India via WebSDR at Univ of Twente, the Nederlands. I liked the unique mix of music, talk, comedy and DX news in their weekly show ‘The Buzz’. Reception report with audio clip of the recording was mailed to hriradio@gmail.com on Aug 01, 2015.